The pilot was performing a private flight from Glendale (Arizona) to Newton (Kansas), when he informed ATC about engine problem. 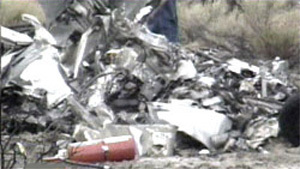 He decided to divert to Gallup, New Mexico, but the twin engine aircraft crashed in a desert few kilometers short of runway. 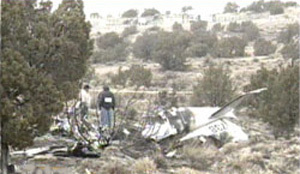 The pilot was killed upon impact.